Beneath an old cemetery is a race of freaks and monsters, many of whom possess magical powers and terrible weaponry. And these are the good guys. 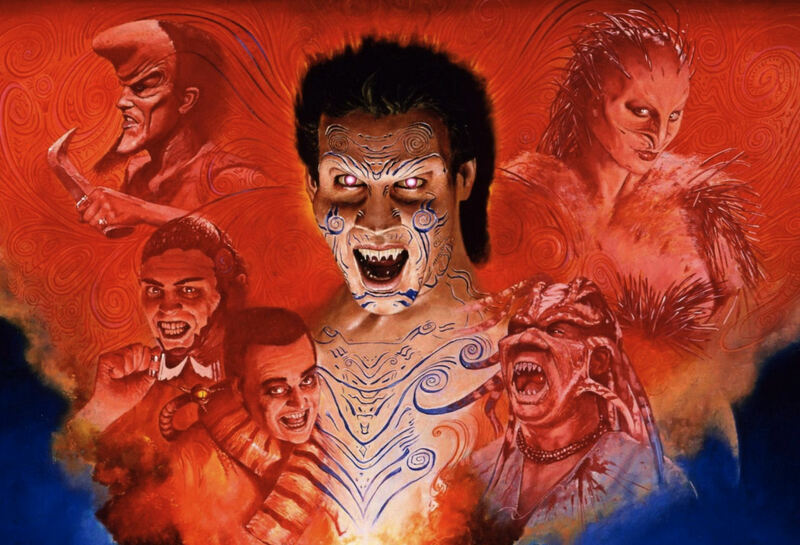 As part of its ongoing series celebrating the 25th anniversary of notable films, the Spoiler Room takes a look at Clive Barker’s NIGHTBREED. Until only recently, this film existed only in a severely compromised version. Mark Krawczyk, Cole Meredith, Dawn S., Andrew Shearer, Paul Salzer and myself discuss our first exposure to NIGHTBREED as well as its underlying themes of persecution from an overly conservative society. This episode is one part of a much larger episode that also discussed the 25th anniversary of FRANKENHOOKER. I’ll be linking to that episode as well. For now, sit back, make sure your ID says you’re over 18 and enjoy our look at Clive Barker’s NIGHTBREED. Next Next post: “Wanna Date?” – FRANKENHOOKER Turns 25! Plus, An Interview with Patty Mullen!